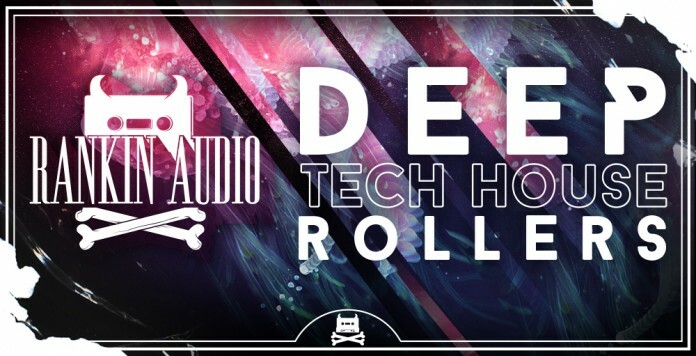 Deep Tech House Rollers is a slice of all things good in dubbed out Tech House. Brimming with warm, soulful chords, hook filled dub stabs and rolling drum patterns. We’ve concocted a pack of everything you need to make some absolute gems this summer and get feet moving in clubs worldwide. Focussed on the deep, dubbier side of Tech House, this pack has it all. A collection of rich, analogue basslines made with hardware like the Moog Minitaur, the Korg MS-20 and various Eurorack modules and are guaranteed to give your tracks the warm bottom end that only analogue can. We’ve also thrown in some techier basslines for the more synthetic side of things, great for layering up FX on and weaving in an out of the drums. A huge host of drums are on offer all the way from found sound foley loops that add an extra level of depth to your tracks to layered up percussion loops and thick, fat full drum loops, full of warmth and potential. There are enough here to satisfy even the most extreme of cravings and you’ll keep coming back to these for years to come. We’ve chopped up some amazing little vocals into garage infused slice of hooky goodness, ready to drop right into the mix and bring out the character in your track. Plenty of one shots are available from the dubby synth stabs to warm bass notes that can easily be crafted into your own riffs, basslines and lead loops. We’ve done our best to put together a complete pack of everything you could need for some serious, summer time rollers. Cue the demo and check out the example loops and you’ll hear just what we mean.